Joseph J. Fins M.D., M.A.C.P. Award Year: 2006 The two very public court cases of Karen Ann Quinlan and Terri Schiavo have colored much of the debate about the persistent vegetative state and futile medical treatment. But another recent case, that of Terry Wallis, a man with severe brain damage who began to speak after spending 19 years in a nursing home in a minimally conscious state, provides a different example - one of possible improvement, although not full recovery. Joseph J. Fins, M.D. tackles a host of thorny problems and policy issues raised by severe brain injury, a leading cause of disability among young people. These include obstacles to accurate diagnosis, coverage for life-long medical and rehabilitation services, research in subjects who lack decision-making capacity, impact of caregiving on families, and a general lack of scientific interest among medical professionals. Fins' project, Minds Apart: Severe Brain Injury and Health Policy, aims to provide information about the effects of brain injury, promote a public dialogue about the needs of these patients and their families, and explore options for improving care and broadening clinical research. Dr. Joseph J. Fins is The E. William Davis, Jr. M.D. Professor of Medical Ethics and Chief of the Division of Medical Ethics at Weill Cornell Medical College where he also serves as Professor of Medicine, Professor of Public Health and Professor of Medicine in Psychiatry. 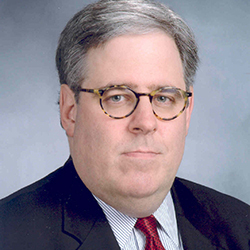 He is the founding Chair of the Ethics Committee of New York-Presbyterian Weill Cornell Medical Center where he serves as an Attending Physician and Director of Medical Ethics. He is a member of the Adjunct Faculty of Rockefeller University, a Senior Attending Physician at The Rockefeller University Hospital and co-directs, the Consortium for the Advanced Study of Brain Injury (CASBI) at Weill Cornell and Rockefeller. Dr. Fins is an elected Member of the Institute of Medicine of the National Academy of Sciences and a Fellow of the American Academy of Arts and Sciences. Dr. Fins has received a Soros Open Society Institute Project on Death in America Faculty Scholars Award, a Woodrow Wilson National Fellowship Foundation Visiting Fellowship and support from the Dana, Buster and Katz Foundations, amongst others. He was appointed by President Clinton to The White House Commission on Complementary and Alternative Medicine Policy and currently serves on The New York State Task Force on Life and the Law by gubernatorial appointment. Dr. Fins graduated from Wesleyan University (B.A. with Honors, The College of Letters, 1982) and Cornell University Medical College (M.D., 1986). He completed his residency in Internal Medicine and Fellowship in General Internal Medicine at The New York Hospital-Cornell Medical Center and has served as Associate for Medicine at The Hastings Center. He is a Diplomat of the American Board of Internal Medicine and was recertified in 2012. The author of over 250 publications, his most recent book is A Palliative Ethic of Care: Clinical Wisdom at Life’s End (Jones and Bartlett, 2006). His current scholarly interests include ethical and policy issues in brain injury and disorders of consciousness, palliative care, research ethics in neurology and psychiatry, medical education, methods of ethics case consultation and the history of medicine. He is a co-author of the 2007 Nature paper describing the first use of deep brain stimulation in the minimally conscious state. His forthcoming book is Rights Come to Mind: Brain Injury, Ethics & The Struggle for Consciousness (The Cambridge University Press, 2014). Dr. Fins is President of the American Society for Bioethics and Humanities and on The Hastings Center Board of Trustees where he is Chair of the Fellows’ Council. Past Governor of the American College of Physicians, he has been honored with the College’s Laureate Award and served as a trustee of the American College of Physicians Foundation. He is a Trustee Emeritus of Wesleyan University which has honored him with its Distinguished Alumnus Award. Dr. Fins is a Master of the American College of Physicians. He is also a Fellow of The New York Academy of Medicine and The Hastings Center and was appointed to the Council of the Europaische Akademie (Germany). He is an elected member of the Dana Alliance for Brain Initiatives, the American Clinical and Climatological Association and Alpha Omega Alpha. Fins, J. Neuroethics and the Lure of Technology, In Handbook of Neuroethics, ed. Illes, J. New York: Oxford University Press, 895-908, 2011. Fins, J.J. Being Conscious of Their Burden: Severe Brain Injury and the Two Cultures Challenge, In Disorders of Consciousness (Annals of the New York Academy of Sciences, Vol.1157), eds. Schiff, N.D., Laureys, S. Wiley-Blackwell, 131-47, 2009. Fins, J.J. Deep Brain Stimulation: Ethical Issues in Clinical Practice and Neurosurgical Research, In Neuromodulation, eds. Krames, E., Peckham, P.H., Rezai, A. London: Elsevier, 2009. Fins, J.J. Neuroethics and Disorders of Consciousness: A Pragmatic Approach to Neuropalliative Care, In The Neurology of Consciousness, Cognitive Neuroscience and Neuropathology, eds. Laureys, S., Tononi, G. Academic Press-Elsevier, 234-44, 2008. Fins, J.J. Disorders of Consciousness and Disordered Care: Families, Caregivers, and Narratives of Necessity. Archives of Physical Medicine and Rehabilitation, 2013; 94(10):1934–1939. Fins, J.J. Severe Brain Injury and Organ Solicitation: A Call for Temperance. Virtual Mentor, Mar 2012, 14(3): 221-6. Fins, J, Suppes, A. Brain Injury and the Culture of Neglect: Musings on an Uncertain Future: The Body and the State. Social Research: An International Quarterly, 2011, 78(3): 731-746. Bardin, J.C., Fins, J.J., Katz, D.I., Hersh, J., Heier, L.A., Tabelow, K. Dissociations between Behavioural and Functional Magnetic Resonance Imaging-based Evaluations of Cognitive Function after Brain Injury. Brain, 2011, 134(3): 769-782. Schlaepher, T.E., Fins, J.J. Deep Brain Stimulation and the Neuroethics of Responsible Publishing: When One is Not Enough. JAMA, 2010, 303(8): 775-6. Fins, J.J. Deep Brain Stimulation, Free Markets and the Scientific Commons: Is it Time to Revisit the Bayh-Dole Act of 1980? Neuromodulation, 2010, 13: 153-159. Fins, J.J., Schiff, N.D. In the Blink of the Mind's Eye. Hastings Center Report, 2010, 40(3): 2. Schiff, N.D., Giacino, J.T., Fins, J.J. Deep Brain Stimulation, Neuroethics and the Minimally Conscious State: Moving beyond Proof of Principle. Archives of Neurology, 2009, 66(6): 697-702. Fins, J.J. Head Cases: Stories of Brain Injury and Its Aftermath. JAMA, 2009, 301(22): 2393-4. Fins, J.J. Lessons from the Injured Brain: A Bioethicist in the Vineyards of Neuroscience. Cambridge Quarterly of Healthcare Ethics, 2009, 18(1): 7-13. Laureys, S., Fins, J.J. Are We Equal in Death? Avoiding Diagnostic Error in Brain Death. Neurology, 2008, 70(4): e14-5. Fins, J.J., Illes, J. Lights, Camera, Inaction? Neuroimaging and Disorders of Consciousness. American J of Bioethics, 2008, 8, 9, 1-3. Fins, J.J. Neuroethics and Neuroimaging: Moving toward Transparency. American J of Bioethics, 2008, 8(9): 46-52. Fins, J.J. Review: The Day Donny Herbert Woke Up: A True Story. JAMA, 2008, 299(8): 959-10. Fins, JJ, Rezai, AR. Behavioral Improvements with Thalamic Stimulation after Severe Traumatic Brain Injury. Nature, 2007, 448(7153): 600-603. Schiff, N.D., Fins, J.J. Deep Brain Stimulation and Cognition: Moving from Animal to Patient. Current Opinion in Neurology, 2007, 20(6): 638-42. Fins, J.J., Schiff, N.D., Foley, K.M. Late Recovery from the Minimally Conscious State: Ethical and Policy Implications. Neurology, 2007, 68(4): 304-7. Fins, J.J., Shapiro, Z.E. Neuroimaging and Neuroethics: Clinical and Policy Considerations. Current Opinion in Neurology, 2007, 20(6): 650-4. Fins, J.J., Master, M.G., Gerber, L.M., Giacino, J.T. The Minimally Conscious State: A Diagnosis in Search of an Epidemiology. Archives of Neurology, 2007, 64(10): 1400-5.